Our mission is to support local farms and producers and make their products accessible to the wider community. We are happy to partner with more farms and producers in the area. If you are interested in having us retail your product please reach out to us! 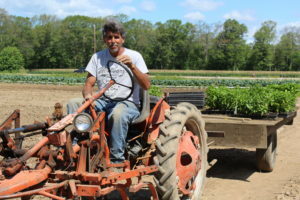 “We have 45 acres, and there are over 100 varieties of vegetables grown on the farm. There are approximately 30 workers at the peak of the season. 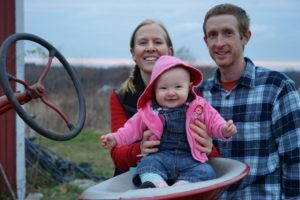 The Flats Mentor Farm (FMF, or The Flats) is located on a 70-acre river bottom parcel of land in Lancaster, Massachusetts. FMF assists and supports small farmers of diverse ethnic backgrounds with the land, farming infrastructure and marketing assistance needed to promote and sustain successful farming enterprises. FMF promotes economically viable agricultural production that protects the environment through the practice of sustainable farming methods. 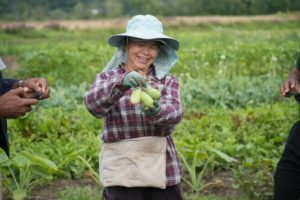 Immigrant and refugee farmers have been farming at this location since 1985. In 2005, after many trials and tribulations, the farmers formally organized to become Flats Mentor Farm. 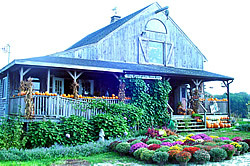 Heirloom Harvest farms 17 acres of land on a 30 acre field behind Saint Luke’s Cemetery in Westborough. 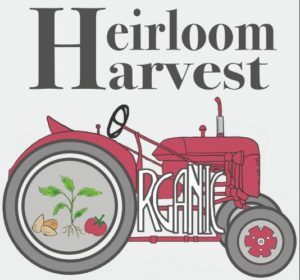 The Heirloom Harvest farmer is John Mitchell, who has been farming this land since 2004. 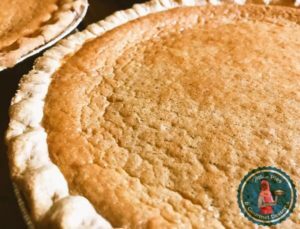 Mmm Pies are handcrafted in New Haven, CT. They are a family owned and run business producing small batches of delightful desserts. A 4th generation family owned farm, Oakdale Farm is committed to growing produce using safe and environmentally safe practices. The soil is amended with manure and natural minerals and they are very particular in the selection of heirloom, organic, and untreated seeds. Natural fertilizers are used to enrich the soil. 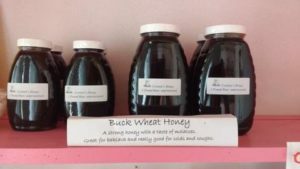 Producers of natural, non-pasteurized, pure, raw honey. The honey is extracted and strained without the use of heat. 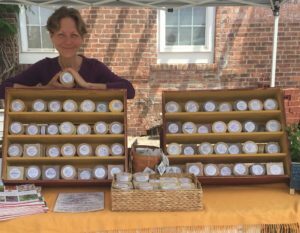 No antibiotics or drugs are used — the hives are treated 100% naturally.